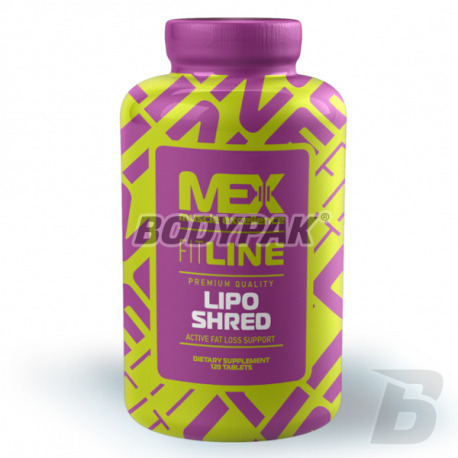 Fat LossMex Lipo Shred [Fit Line] - 120 tabl. The product belongs to the line of supplements: FIT LINE! 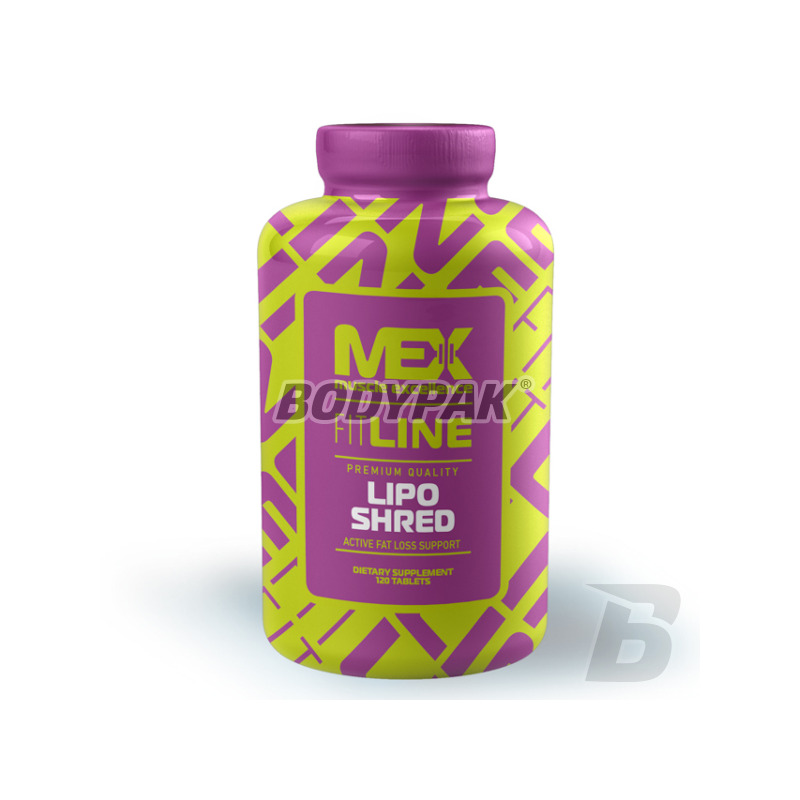 Mex Lipo Shred is not another fat burner with a catchy name and a large number of substances in trace amounts - its advanced formula was created in collaboration with the best specialists in the industry syplementacyjnej. Not without reason he is considered an indispensable product during weight loss. Bet on the quality and effectiveness and select the preparation! EFFECTIVE COMPOSITION, SAFE USE. Contains no extraneous additives and fillers. Mex Lipo Shred stimulates the release of fatty acids stored in adipose tissue, it helps in the transport of using them for energy. The preparation is extremely exciting, however, it does not contain any substances that would cause nervousness and irritability, headaches and insomnia typical products based on ephedrine and large amounts of caffeine. DOES NOT EFFECT JO-JO. KNOWN AND RECOMMENDED BY MANY CUSTOMERS. Mex Lipo Shred can be the basis of any fat loss program. Many people are afraid to use such products - completely unnecessarily because they are 100% legal and can not cause any side effects! The product was designed for professional athletes and amateurs who want to lose in a short time, a few extra kilos of weight. MEX LIPO SHRED, EFFECTIVE AND SAFE TO DO! Składniki: fosforany wapnia - substancja wiążąca, metyloceuloza - nośnik, acetylo l-karnityna, dwuwinian choliny, inozytol, l-metionina, zielona herbata - liść (Camellia sinesis (L.) I Kuntze, pirogronian wapnia, sole magnezowe kwasów tłuszczowych - substancja przeciwzbrylająca, jodek potasu, amorficzny dwutlenek krzemu - substancja klarująca. Bardzo bezpieczny produkt w działaniu. Nie miałam żadnych skutków ubocznych, tylko pozytywne działanie w postaci mniejszych obwodów, lepszego samopoczucia i mniejszej wadze. Polecam!! Huge concentration of l-carnitine in every serving (up to 5000mg)! Very good taste and trouble-free supplementation. It helps to burn fat without causing yo-yo effect. Can be used before evening training (no stimulants)! Put on the highest quality!